Depression can happen to anyone and at any time, but women who are pregnant or have just given birth are especially susceptible to depression. In these cases the hormonal imbalances that take place in a woman’s body are responsible for this problem. To add to this during pregnancy a woman’s body loses a lot of nutrients in providing nutrition to the child. A lack of vital nutrients and minerals in the body not just aggravates, but sometimes even causes depression. People usually resort to quick fixes in the form of prescription anti depressants which have many harmful side effects. At the same time, these anti depressants are even harmful for the feeding baby. This is why it is best to opt for a natural cure for postpartum depression. This herb has been used for centuries in folk medicine for the treatment of worry, sadness, poor sleep and nervousness. In recent times many studies have been conducted to research the effectiveness of this herb in treating depression of all kinds and it has been found to be quite effective. However, this herb is useful only in cases of mild to moderate depression but not in cases of severe depression. This herb is easily available in health food stores and herbal stores in the form of tablets, capsules and liquid extracts. Fish oil is rich in Omega 3 fatty acids which are the good fat required for the proper functioning of the brain. These fatty acids can’t be produced by the body; hence they have to be consumed along with food. Studies have proved that in countries like Japan and Taiwan where there is high fish consumption, there is lower occurrence of depression. This is the reason that fish oil is beneficial as a natural cure for postpartum depression. Fish oil is available in the form of capsules and the right dosage can be decided upon consultation with a naturopath. It has been observed that people suffering from depression are often deficient in folic acid or folate which is a B vitamin. Green leafy vegetables are a rich source of folic acid and you should go heavy on the greens if you are suffering from postpartum depression. 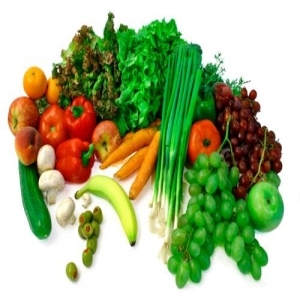 Other vegetables and items which are rich in this nutrient include fruit, beans, fortified grains, and other vegetables. Pecans and other nuts have high magnesium content. This mineral is necessary for the body to produce the sufficient amount of serotonin. Low levels of serotonin result in depression. Hence pecans and other nuts are a natural cure for postpartum depression. Other foods that have high magnesium content are legumes, green vegetables and whole grains. Sweets make you feel good temporarily as they make your blood sugar levels increase. However, the mood worsens when this level of sugar in the blood goes low later on. Thus, it is better to avoid sweets as much as you can. Regular exercise is one of the most effective natural cures for postpartum depression. In fact exercise is good for all types of depression. Aerobic exercise particularly releases mood elevating chemicals in the brain that can reduce depression.